Crisp launching soon page for an upcoming PSD resource portal ‘PSD Booster’ that features an apt universe background. A nice touch would be a hover sensitive parallax effect on the stars in the background. 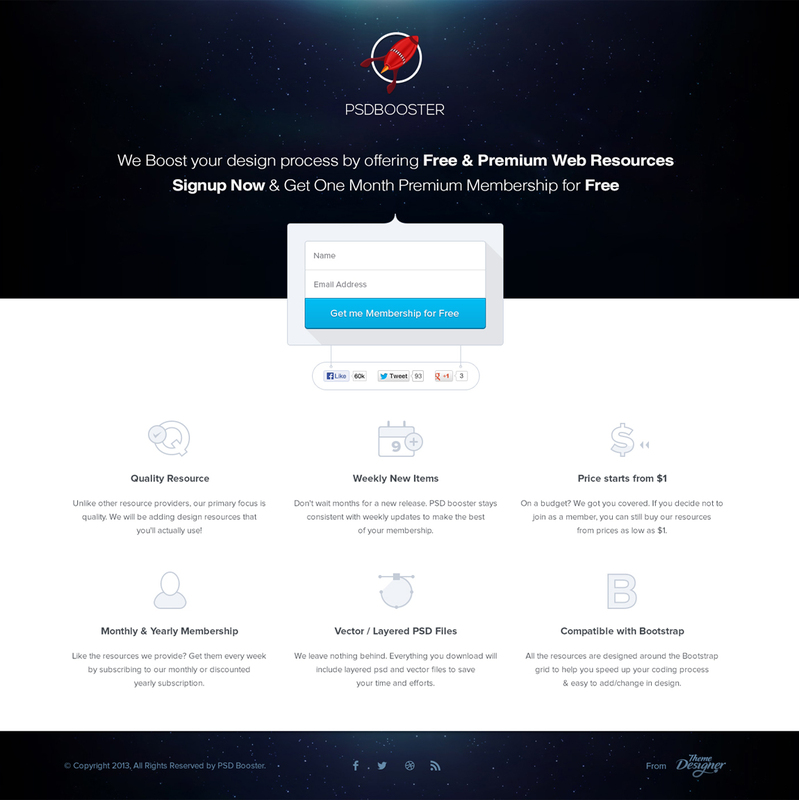 At PSD Booster, We are going to offer Free and Premium Web Resources, which will help you to boost your design and coding process.